If I told you that you ought to listen to a podcast by the Evil Emperor himself, as a Boston Celtics fan (I'm presuming that's why you're here), your first instinct is probably to scoff, if you're being generous. 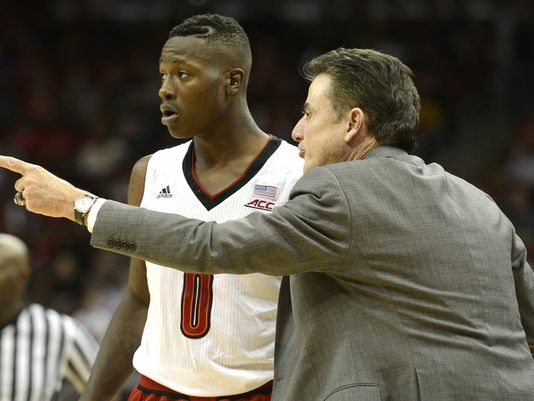 But, Rick Pitino has crawled back into Celtics relevance, if just for a moment, by producing a pod with one of his former players, a one Terry Rozier. Rick and Terry talk Terry's formative years under Pitino, and how his experiences at Louisville contributed to his unexpected success as a Celtic. Try not to think too hard about the other guy talking, and have a listen to the player linked above - it's worth the haunting reminder of an era we'd rather forget (Rick even makes a bad Celtics-related pun early on at the 6:38 mark).